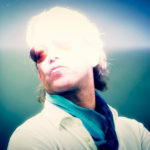 Michael Wekerle is a rock star in the world of Canadian finance, known for his shrewd value spotting in the fields of tech, biotech and media. As the founder and Chairman of the merchant bank Difference Capital Financial Inc., he oversees a fund that includes such successful growth companies as Hootsuite, Vision Critical, BuildDirect and Blue Ant Media. He also holds significant real estate assets, including an impressive portfolio of high-tech commercial properties in Waterloo, Ontario, as well as the historic Toronto entertainment venue the El Mocambo. And he is a partner in the Canadian franchise of Wahlburgers—Paul, Donnie and Mark Wahlberg’s Boston-based chain of restaurants.